Ask almost any network administrator: managing a network in today’s distributed and cloud-centric world isn’t easy. Supporting the rapid adoption of cloud services, an insatiable demand for bandwidth-intensive apps like voice and video, and the tens, hundreds, and sometimes thousands of business-critical remote sites is difficult enough. Having to do so with an underlying networking infrastructure that hasn’t changed much in 20 years? Yikes. Clearly, it’s time to rethink the enterprise network, particularly in a digital era that demands unrivaled business and IT agility. 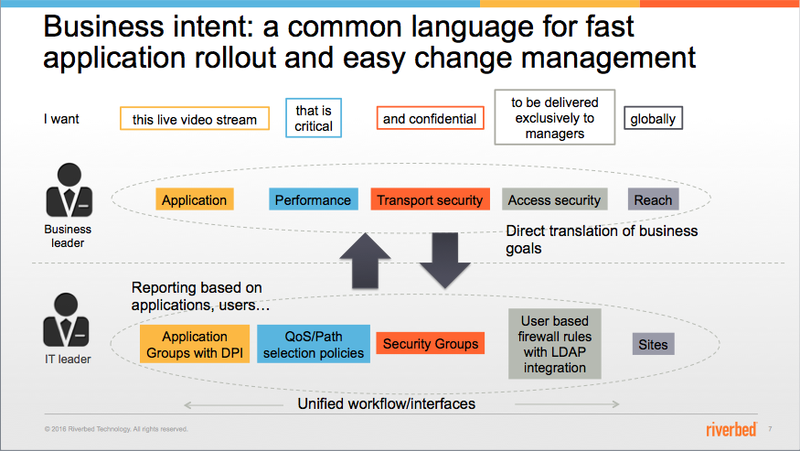 That’s where Riverbed SteelConnect comes into play. 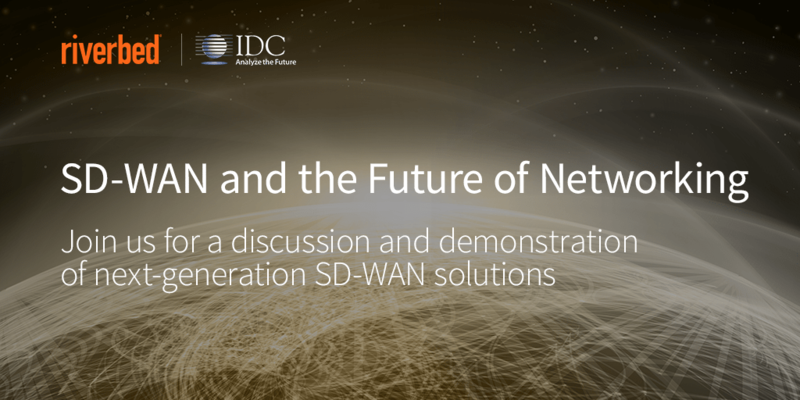 Launched Tuesday during our global webcast with IDC, SteelConnect is Riverbed’s application-defined SD-WAN (software-defined wide-area network) solution. It is the first and only product to provide unified connectivity and orchestration across hybrid WANs, remote LANs, and cloud networks, maki ng it incredibly simple for IT to ensure fast, agile, and secure application delivery. SteelConnect builds on Riverbed’s 14+ years of delivering applications and data at lightning-fast speeds across diverse, complex IT networks. It combines the native SD-WAN capabilities we’ve developed over the past few years through Riverbed SteelHead—deep application intelligence, path selection, secure transport, and QoS, to name a few—with the automation and management infrastructure gained through our Ocedo acquisition in January that includes an intuitive central management console, WAN gateways, LAN switches, Wi-Fi access points, and unified cloud IaaS connectivity. Historically, translating business requirements into actual network resources (or vice-versa) has been a cumbersome process. SteelConnect bridges the gap between business needs and IT capabilities through business-intent language and an intuitive graphical user interface. Business leaders state their application requirements in plain language, and SteelConnect’s cloud-based management console takes care of the rest through a menu-driven workflow, automatically translating business concepts into the proper network configuration for components like sites, zones, uplinks, and rules. Networks are designed virtually with ease, naturally aligned to the language and priorities of your business. SteelConnect easily translates business requirements into actual network resources. Provisioning new or updated network services at remote sites through traditional means takes too long. And let’s face it—revenue is often at stake at these locations. 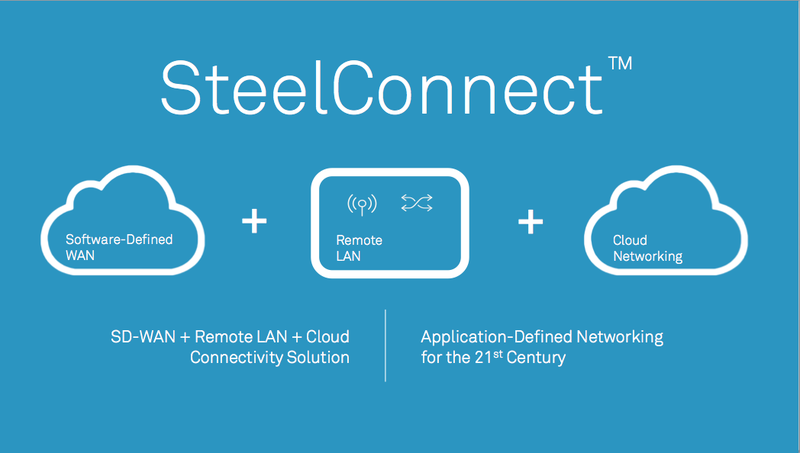 With SteelConnect, you design every aspect of the network before a single piece of hardware is deployed to these business-critical locations. This includes the networks and WAN circuits used to connect those sites, as well as the policies that enforce performance SLAs and security constraints based on user and application groups. Once the virtual network designs are in place, you can deploy new network devices and services instantly through zero-touch provisioning and unified orchestration. No need to manually configure branch routers or switches or dispatch skilled, yet expensive IT personnel from site to site. Deployment times are dramatically reduced, operating costs are slashed, and revenue is recognized more quickly. Business and application requirements continually change today. Keeping pace through traditional CLI commands and manual router reconfigurations across sites is an impossible task, and human error and downtime are almost certainties. 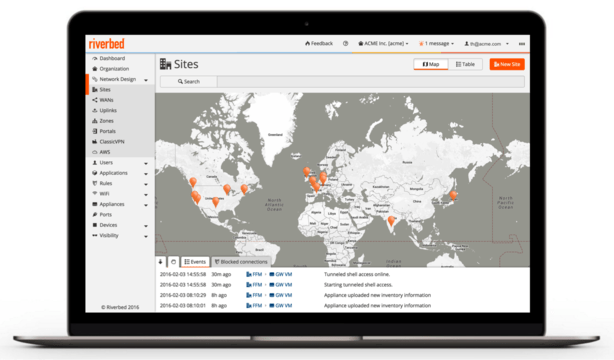 With SteelConnect, IT controls the entire software-defined network in a centralized location. And through universal application-centric policy automation, changes to the network can be reliably introduced at the click of a mouse or tap of a finger. Apply updated policies with speed and accuracy, steer apps over the optimal network path based on importance and circuit conditions, and protect the experience and productivity of users leveraging mission-critical apps, at all times. Leveraging the public Internet in modern enterprise networks is almost a necessity. Unfortunately, the Internet exposes users to security threats, and setting up hundreds of security rules for every user and branch site is a nightmare. With SteelConnect, IT can easily deliver secure Internet access across all branch locations. Its next-gen firewall consistently enforces branch security policies with live threat protection, user-based security, and real-time visibility into network usage for quick troubleshooting and proactive support. Moreover, SteelConnect Switches provide the ability to reduce your attack surfaces and limit the scope of potential breaches. The end result—IT more confidently provides secure Internet access at remote locations. The success of digital services depends on ensuring consistent connectivity—across locations, networks, and devices. Supporting a hybrid cloud strategy is inherent with this idea of universal connectivity, but commonly used virtual private networks (VPNs) involve complex setups and negotiating policies between IaaS providers and on-premises locations. SteelConnect makes cloud connectivity easy, offering native integrations with IaaS providers. Seamlessly link your branch offices to your cloud applications, and then provide users with secure access to cloud resources when they leave the office. Speaking of mobile users, SteelConnect Access Points extend connectivity through LAN, guest, and Wi-Fi services for employees and visiting customers. Simple self-registration authenticates users across laptops, tablets, and smartphones, and access points can extend enterprise networks to home offices over public Internet connections. Lastly, virtual access zones follow users throughout the organization, providing consistent connectivity while enforcing enterprise-wide data protection, password, and security policies. SteelConnect also provides detailed reporting of who is on the network at any given time, so you can prioritize usage and access. Employees stay productive and customers stay connected without compromising performance or security.